The second phase of the "Round Robin" tests took place at the Kelvin hydrodynamic lab at Strathclyde University (Glasgow, UK) from the 16th to the 20th of December 2013. During these tests, IFREMER's three-bladed horizontal axis marine turbine was fixed under the lab's towing tank carriage. 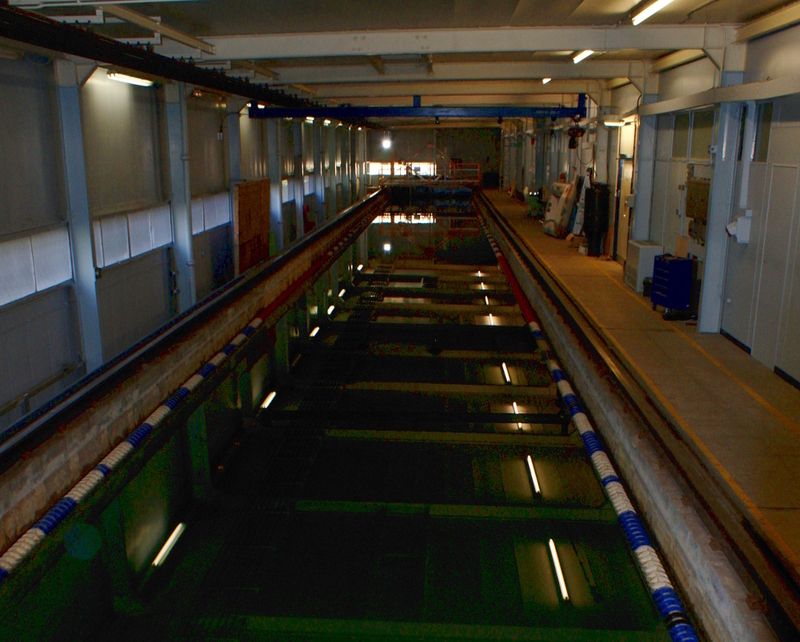 The towing velocity range varied from 0.6 to 1.2 m/s, along the 76m tank. Torque and thrust measurements were recorded for different rotation velocities, allowing to accurately mesure the performance of the turbine. 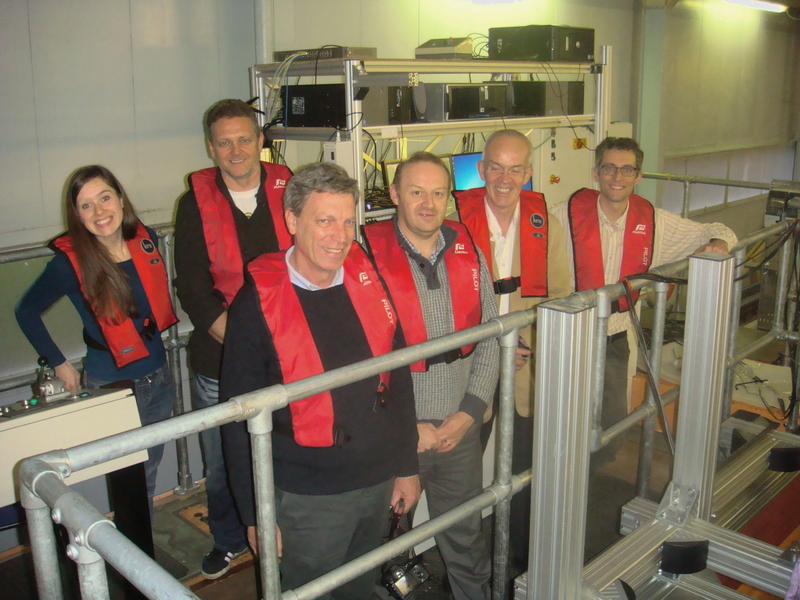 Acquisition system (hardware and software) and testing protocol were the same as we had already used for the first phase in the circulating tank at IFREMER (Boulogne/mer, France). 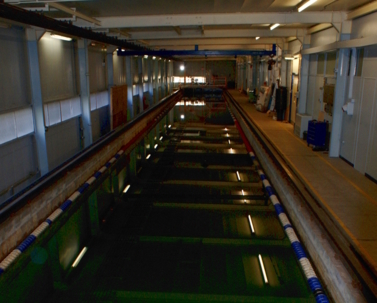 Comparisons between these obtained results from the two different facilities will enable us to compare the possible effects from tank specifications, blockage ratio and turbulence.